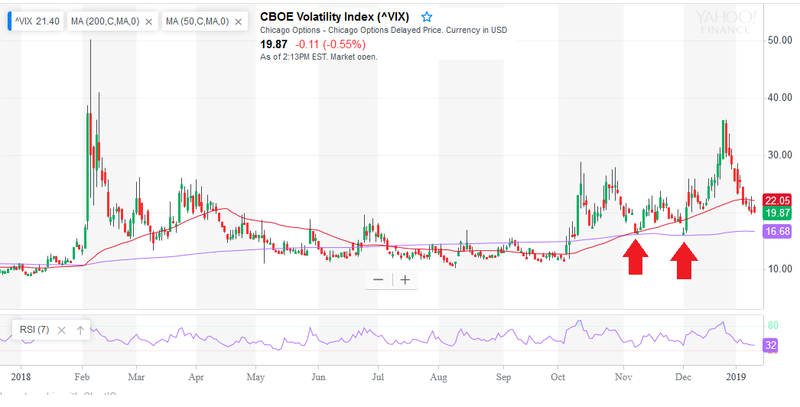 Volatility has settled substantially since Christmas and has just dipped below its 50-day MA to probe the 20 threshold as of this writing. This exposes the 200-day to a re-test as seen back in November and December (now in the 16.68 region). If, however, this key support fails to hold, then the base formed (in the 10 to 12 region) between last year's volatility spikes will be targeted.